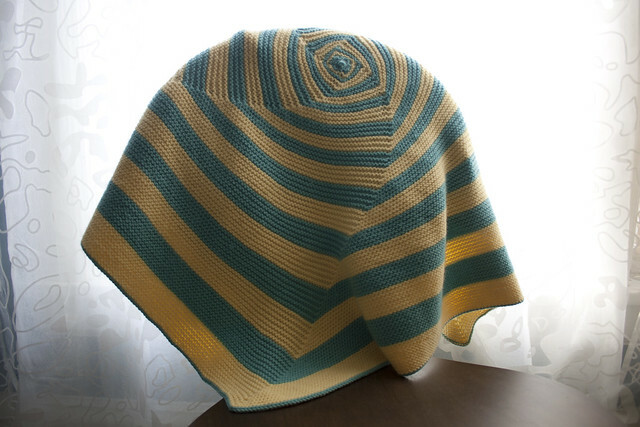 Pattern: by Melissa Dominguez, available on Knitty. Made For: Lillian Mary, who was born to Erin and Jason on December 31, 2010. 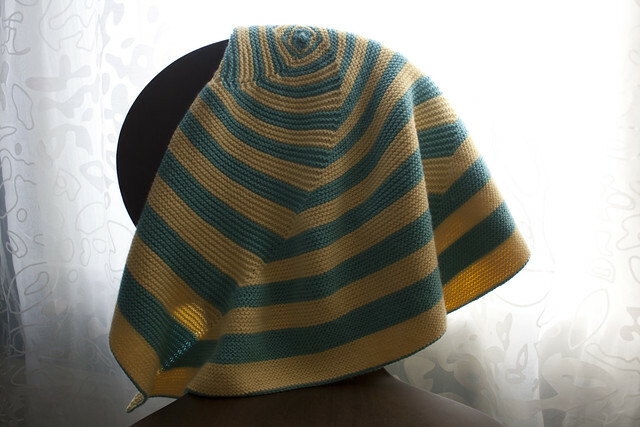 After a little bit of confusion when I started knitting this, it went pretty smoothly. It was a challenge knitting from the center to the outside since every row took just a little bit longer (added four new stitches per row) — making it seem a little bit further away from being finished. Of course, knitting over the Thanksgiving/Christmas season also means that I got distracted at times and maybe lost a lot of knitting time. I ended up not making the full large size as I had originally planned since Lillian has arrived! 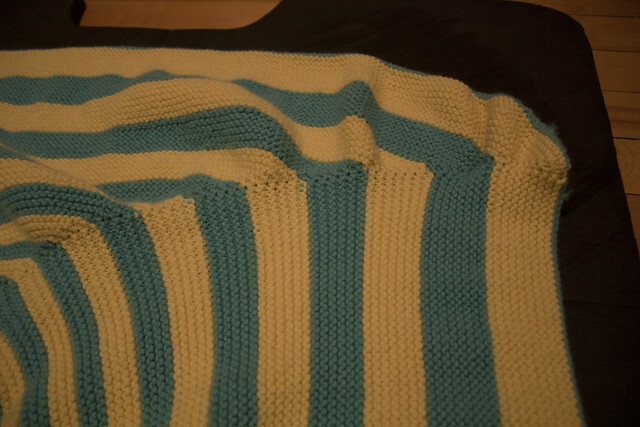 In the end, I knit one row more than the “small” size. 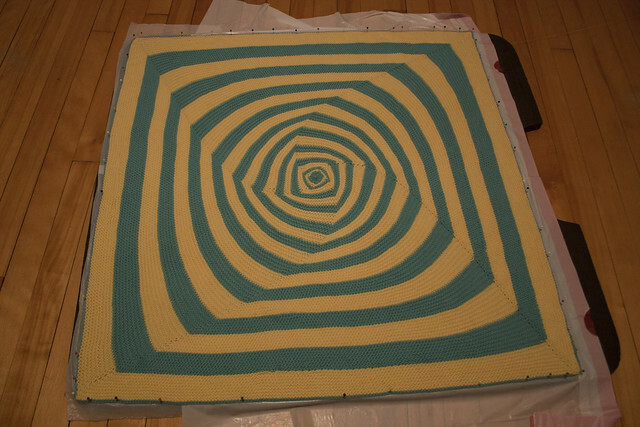 It’s a nice size, and I’m happy with how it turned out after blocking. Success!